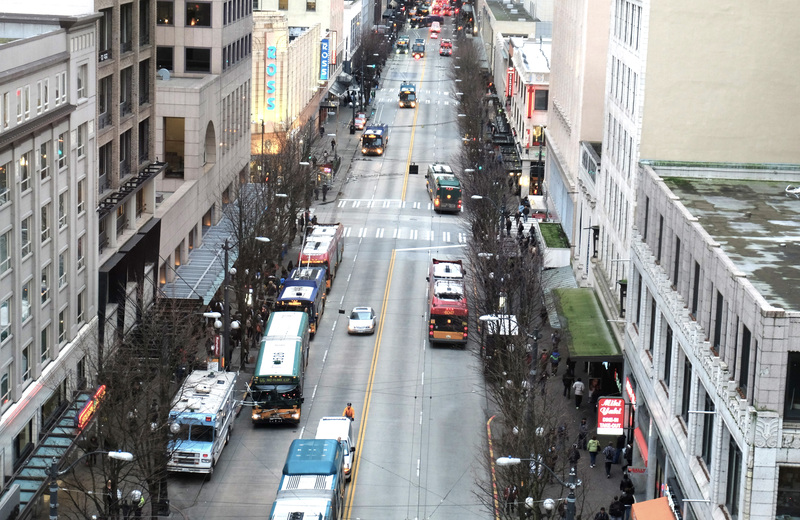 SEATTLE (Nov. 1, 2017) – The Downtown Seattle Association (DSA) has released a request for proposal (RFP), seeking a firm to assess, develop and present a design vision for Third Avenue in downtown Seattle. The RFP is a major milestone in DSA’s long-term effort to transform Third Avenue into one of the nation’s great streets – one that is safe, inviting and attractive. The Third Avenue project was announced at DSA’s Annual Meeting last June. Enhancing downtown’s public realm is one of DSA’s key priorities. A comprehensive vision for Third Avenue will address urban design, transportation, public space, private buildings, retail and long-term management strategies. The deadline for submissions is Nov. 20, 2017 by 4 p.m. The full RFP can be downloaded here. For questions related to the RFP, please contact Jacqueline Gruber, Senior Economic Development Manager, at jacquelineg@downtownseattle.org. Established in 1958, the Downtown Seattle Association (DSA) is a nonprofit membership organization whose mission is to create a healthy, vibrant downtown. DSA advocates on behalf of business, nonprofit, arts and residential interests to create a downtown for everyone. The DSA plays a key role in activating and maintaining public spaces in downtown. Since 2015, DSA has managed Westlake Park and Occidental Square. The organization is also currently working with the City of Seattle on a plan to revitalize Pike and Pine streets in downtown. For more information visit: downtownseattle.org.